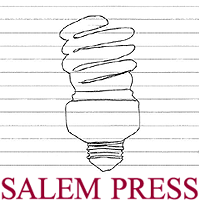 Salem is tinkering with a way to learn more about the changing landscape of reference. In this particular instance, we're wondering about what new content areas (or emphasis) might be on the minds of students, patrons and librarians. So, we're asking. We'd like librarians to suggest titles and/or subject areas for new reference. Everything is on the table. Every idea is welcome, covering any subject. Our hope is that librarians will ask for the reference their patrons and students need but can't find. The first three librarians whose suggestions on any specific subject become new Salem Press reference will receive that reference free. That's it, very simple: Be among the first three with an idea and we'll give you the reference when (and if) we publish it. Librarians should email [email protected] with their ideas. Librarians may submit as many ideas as they'd like. In fact, the more the merrier. I appreciate publishers taking an interest in the development and future direction of the library world, and this cooperative approach to identify need, rather than just pushing whatever they have to sell. I haven't come up with any earth-shattering ideas, but I'll definitely submit something.